You find yourself in the midst of a Zombie Apocalypse. All the stores have been raided. There's is no food left, no fresh water and all you have is a box of matches, an old toilet roll and a little book called The Art of Eating through the Zombie Apocalypse. Can you learn how to survive? Can you still eat like you did pre-apocalypse? The Art of Eating through the Zombie Apocalypse is a cookbook and culinary field guide for the busy zombie survivor. 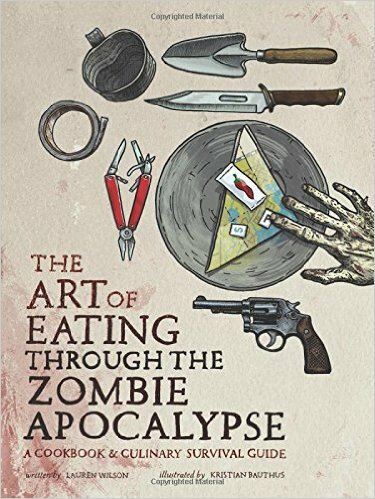 The Art of Eating is the ideal handbook for efficient food sourcing and inventive meal preparation in the event of an undead uprising.